Wendy serves as a Director at Geller Advisors. She brings over 20 years of accounting, business and financial expertise to managing new client relationships. Her primary responsibilities include implementing policies and procedures, proper accounting methodologies, and comprehensive reporting packages. She focuses on gaining a thorough working knowledge of the client in order to provide comprehensive financial oversight and prepare extensive reports. These thoughtful pursuits help her manage client wealth and cash flows to assist the client in making sound financial decisions, including philanthropic endeavors and clear and concise employment practices. Prior to joining Geller Advisors, Wendy was employed at PricewaterhouseCoopers, Goldman Sachs and a multifaceted private family office. Wendy received a BS in Accounting as well as an MBA with a concentration in Finance from New York University’s Stern School of Business. 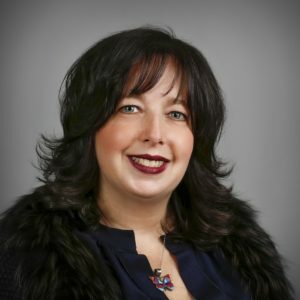 In addition, Wendy is a New York State licensed Certified Public Accountant and a member of both the American Institute of CPAs and New York State Society of CPAs.